France is one of the most visited countries in the world and with good reason; it is a country that caters to young couples looking to celebrate their love. So for you men that hate romance, candlelit dinners and treating your girlfriends and wives grit your teeth because this guide will cause you nightmares. 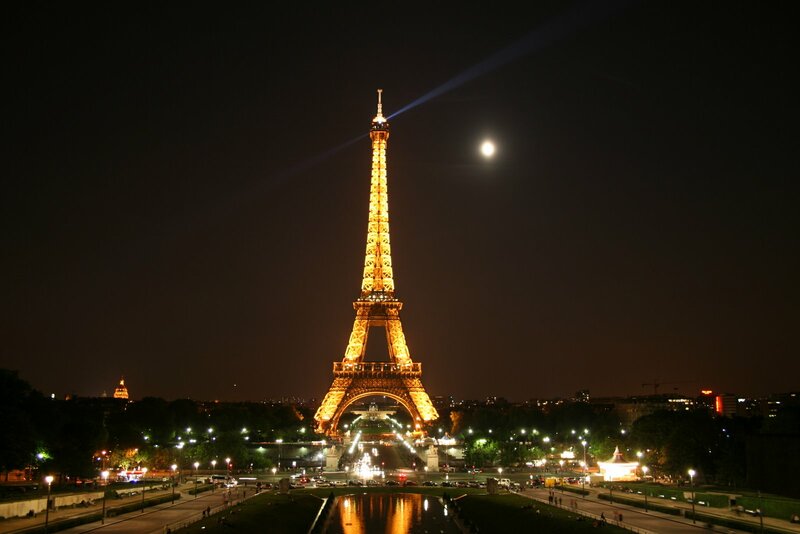 Having arrived in Paris you may want to take your partner for a trip round the Eiffel Tower. Holding hands (men don’t be shy) will help set the tone for a relaxing walk around France’s most prized possession. Once you’ve settled in you may wish to see Sainte Chapelle, an exquisite glass-stained chapel or the Opera Garnier built in 1875 for a bit of entertainment to help soak up the great culture the Parisians are renowned for. Men also should be aware Paris is the fashion capital of the world, so if you come to Paris with shopaholics, you may want to have plenty of credit stored on your debit cards as your wallet may take a hit in shops like Ralph Lauren! Carrying on the trend of buying your partners the latest fashion brands, girlfriends will be enthralled at having Chanel and L’Oreal cosmetics available to them. Paris is awash with cosmetic stores that provide creams and lotions to keep you lovely women looking young and pretty for your partners. Perhaps some Calvin Klein aftershave will be required for your better halves should they reek a tad of body odour! You cannot visit Paris without trying out the number of fine restaurants here. Food is known to create a romantic mood and why not try out the oysters in Le Meurice or the creamy chocolate desserts in Maceo. There are any number of Michelin star restaurants in Paris you can go to, just don’t forget to order an extra bottle of champagne to take back to your room with you as it can be a great aphrodisiac! But maybe you’re looking for a romantic holiday in France with a different theme. Getting your swimming trunks and bikinis on and having a splash in some sea to help expend some of that new found energy that your relationship has conjured up. Then go to Aquitaine where couples will love the lush beaches with the Atlantic Ocean on one side and wonderful scenery in the form of mountains bordering Spain on the other.